In an effort to spread awareness among the students on AIDS and HIV, Newman School Neotan in Changlang District of Arunachal Pradesh presented a Nukkad Natak (street play), celebrating the World AIDS Day on 1 December 2017. Explaining the students on the causes and symptoms, Fr. Felix, the Principal of the school told the students to take good care of oneself and others to prevent from getting infected with HIV. You should not be afraid but should spread awareness among your parents, relatives and friends about the spread of AIDS and HIV, he said. “You should hate HIV but not the people with HIV because they need more care and love”. The students presented a thematic street play to drive home the message of accepting and loving the HIV patients. The street play was held at the Community Football Ground at the centre of Neotan village so that both the children and parents could become aware of AIDS and HIV. Prior to the Nukkad Natak, Miss Barsha Thappa, a tenth grader gave a brief statics on the AIDS and HIV patients in India and north eastern part of India. 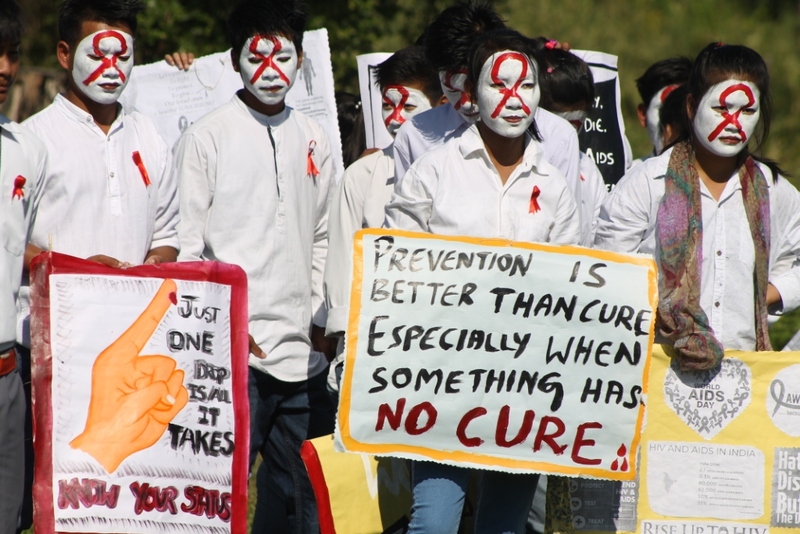 All the students went around the village with red ribbon on their sleeves and placards with messages on caring for the HIV patients.